The AMS Performance Shifter Base Bushings will greatly improve shift quality and accuracy. Made from high quality 6061 aluminum, these CNC precision machined bushings replace the sloppy rubber OEM base bushings. The AMS Performance Under Hood Shifter Bushings are designed specifically for the five or six speed equipped EVO VIII, IX & X. 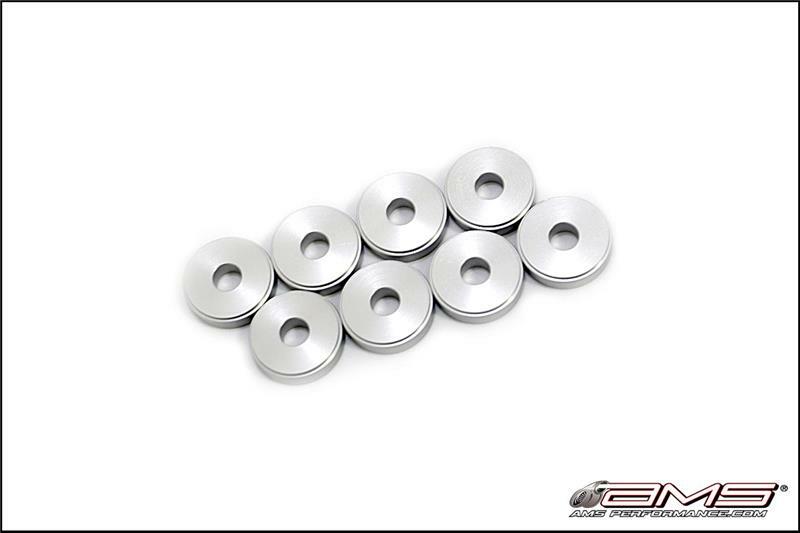 Made from high quality aluminum, these CNC precision machined bushings will greatly improve shift quality and accuracy by replacing the sloppy rubber OEM shifter bushings. This kit includes all the necessary hardware for a painless install.